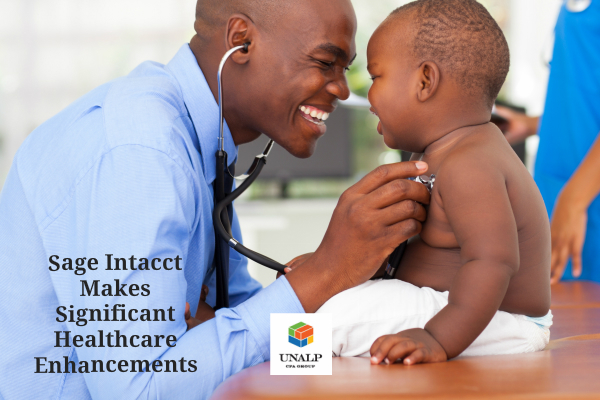 Sage Intacct Makes Significant Healthcare Enhancements – We have been eagerly awaiting the new Sage Intacct product updates, certification, and agreements that help organizations address Health Insurance Portability Accountability Act (HIPAA). The healthcare updates were officially announced in June 2018 and are now generally available as part of Sage Intacct 2018 Release 2, a solution available in Sage Business Cloud. Medical and dental offices, clinics, hospitals, and any other organization that must adhere to HIPAA requirements can now use Sage Intacct’s financial solutions to ensure the proper tools, security, and agreements are in place to support compliance. A new advanced audit trail, allowing organizations to monitor and audit access to protected health information (PHI) in support of HIPAA requirements. HIPAA and HITECH certification by Sword and Shield, so organizations can that PHI is protected by appropriate security. The new EU General Data Protection Regulation (GDPR) requires US-based organizations that do business with the EU – or even have a web presence to market their products to customers in the EU – to make sure their current procedures for handling the personal data of individuals in the EU are in line with GDPR’s requirements. Sage Intacct now has a data obfuscation tool to assist its customers in managing personal data in their financial records. These software enhancements along with Unalp CPA Group’s VIP level of software services for healthcare organizations means you’ll have the benefit of our promise of unprecedented clarity and uncompromising excellence along with HIPPA and GDPR compliance. Let us help you improve your accounting processes, contact us today, we’d love to speak with you.